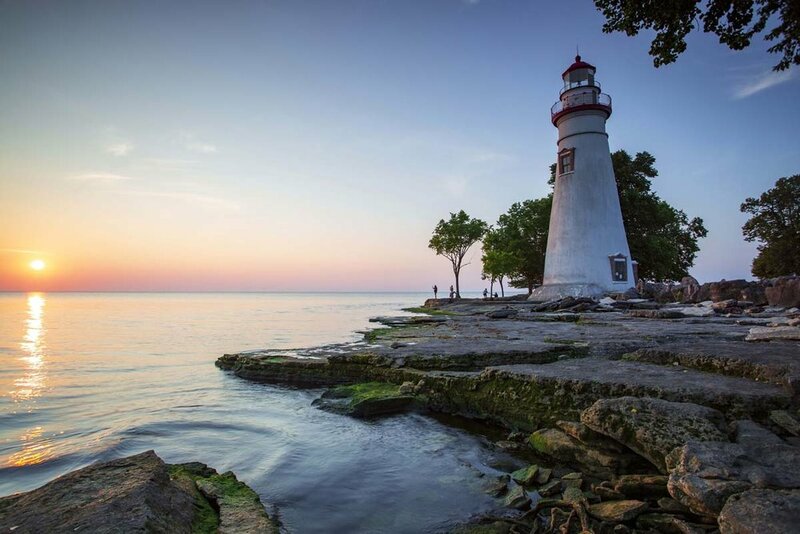 After unpredictable weather and super early sunrise times, I got out to shoot the Marblehead Lighthouse, one of my favorite places on Lake Erie! I packed up my gear for a very early morning wake up...4:15AM! (I like to start shooting 1 hour before sunrise.) The forecasts called for clear overnight skies with very little wind, so I planned for a very calm Lake Erie and a cloudless sky...and that's exactly what I found. I arrived about 45 minutes ahead of sunrise and had the whole place to myself. I was very excited to capture the later portion of "blue hour," my favorite time to shoot...typically referred to as the hour before sunrise or hour after sunset. I find that this is a great time for unique color and contrasts, especially capture through the use of long exposures. You can see in the first several images, the contrast of the darker night sky with the setting moon giving way to the colors of the rising sun. 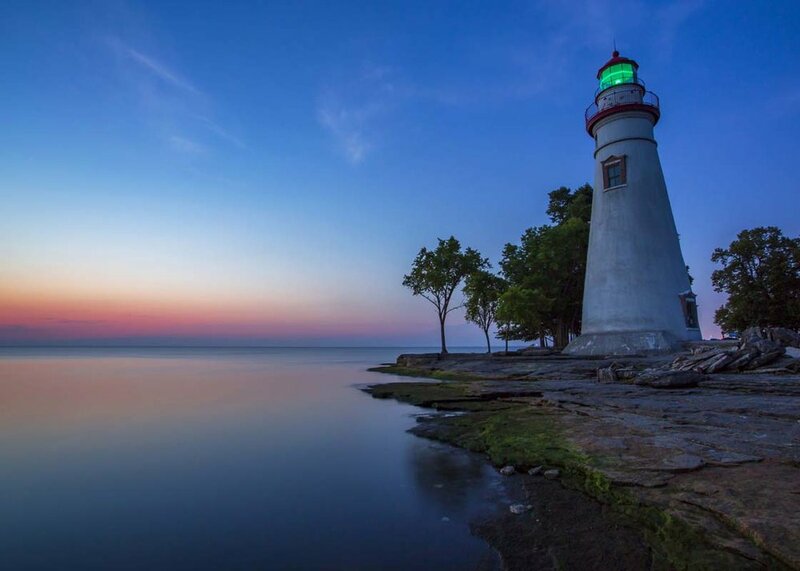 Lake Erie was very calm and made for some amazingly calm, peaceful images and the lack of wave activity allowed me to experiment with some lower perspectives that I shot in the past. 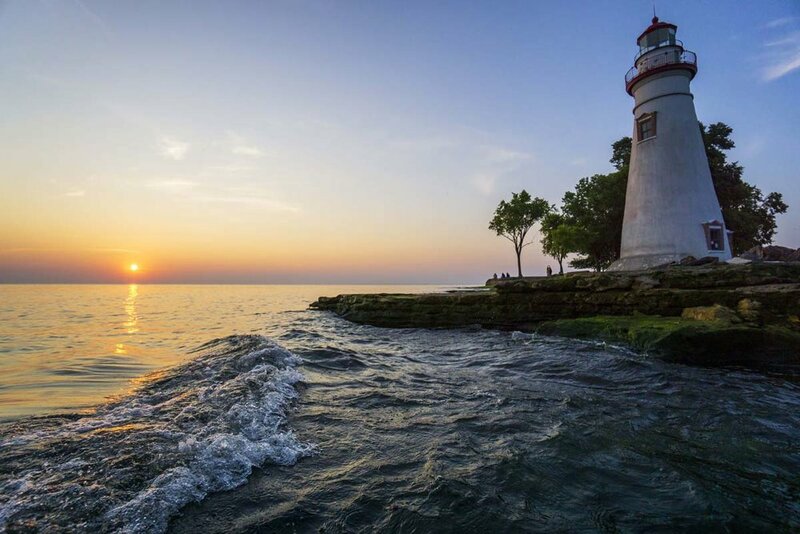 It was great to get back out and capture a sunrise at the Marblehead Lighthouse... it's no wonder it is the most photographed lighthouse on Lake Erie! Please let me know if you have any questions about prints, gear, locations, photo setup, etc. Thanks and have a wonderful day. 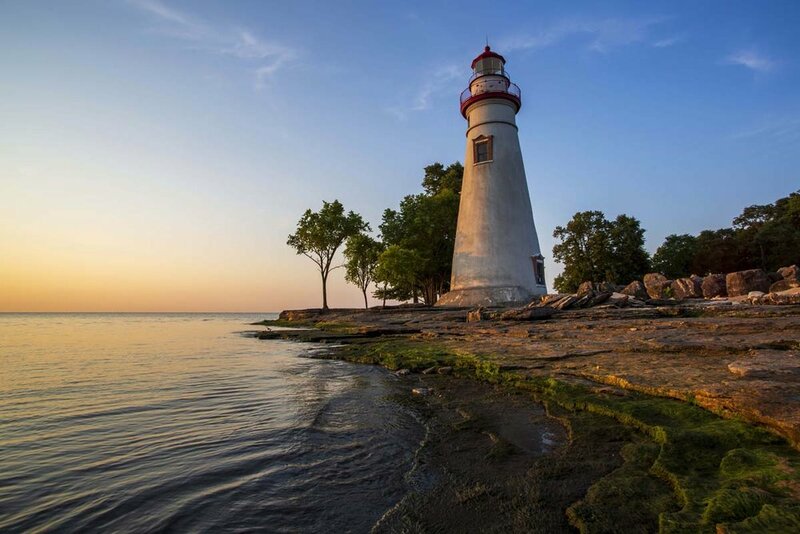 Newer PostMarblehead, Ohio Print Sale - 15% off all prints and wall art!